Dyno-proven for maximum horsepower, Skunk2 Racing Mega Power Catback systems are constructed from T-304 stainless steel and feature Japanese Super N1 styling. 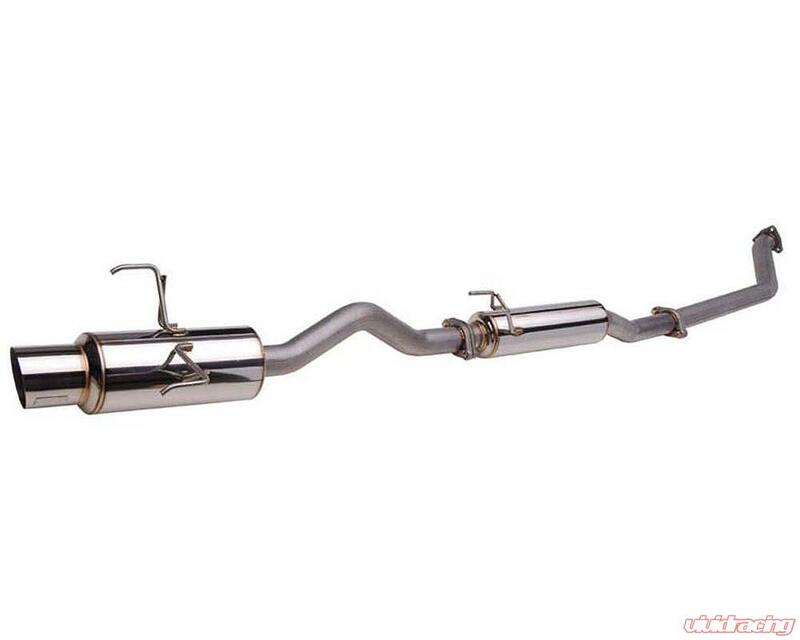 Skunk2 Catback exhaust systems unleash power by optimizing the velocity and flow from your engine. Each Mega Power exhaust is precision CNC mandrel bent using application specific tubing sized for maximum performance and is finished off with a straight through low-restriction racing muffler for uninterrupted flow. CNC mandrel bending allows the tubing to maintain a constant diameter throughout the bend which allows the exhaust gases to flow through the system more efficiently. 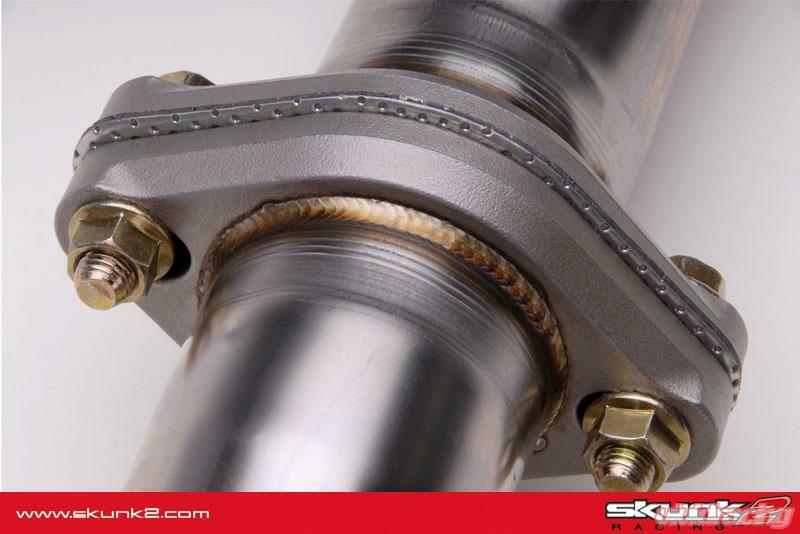 All Skunk2 systems are robotically TIG welded and come with stainless steel flanges. 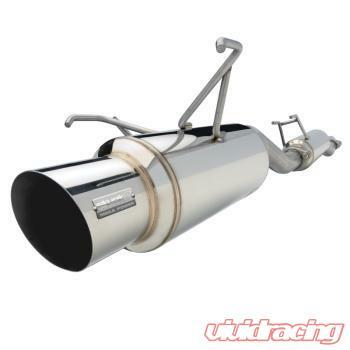 Each system has a fully polished muffler and resonator with semi-finished satin tubing. 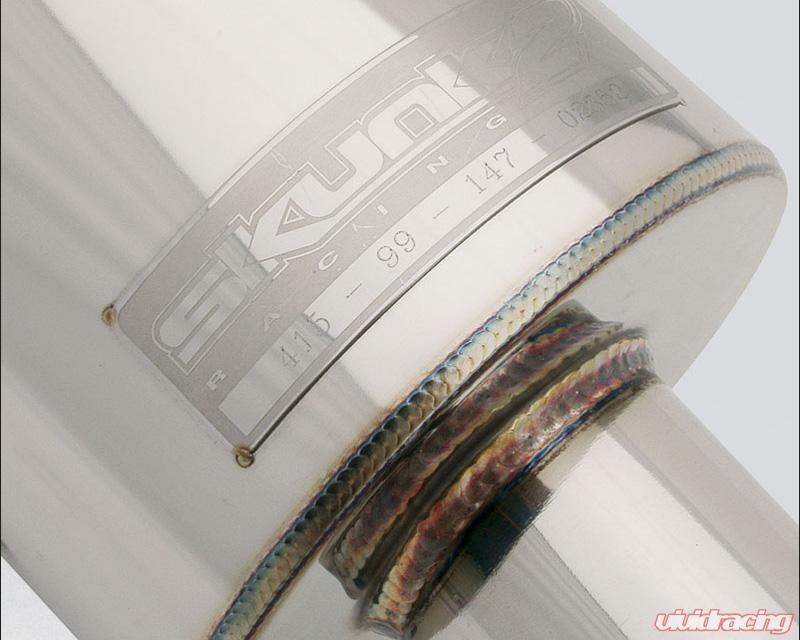 Skunk2 mufflers feature a 110mm diameter polished tip with an acid etched Mega Power badge and a serialized nameplate. A Skunk2 removable silencer and all necessary hardware are also included. 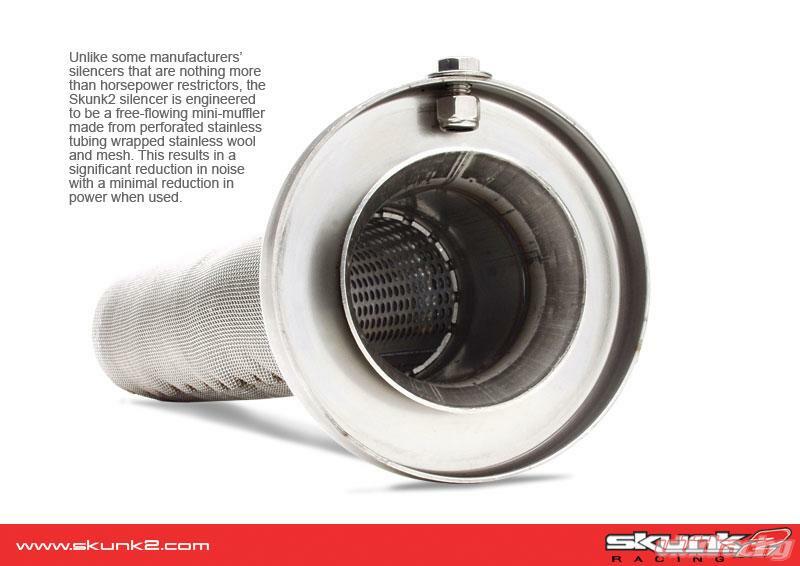 Skunk2 exhaust systems offer more performance, build-quality, and better sound than all other exhaust systems comparably priced. Call us at 1-480-966-3040 with any questions.